The court ruled that the ban sought to guarantee social cohesion. The veil was first banned in Belgium in 2013. THE EUROPEAN COURT of Human Rights yesterday upheld a Belgian ban on wearing the full-face niqab veil in public, calling the restriction “necessary in a democratic society”. The veil is a controversial issue across Europe, with some countries banning the garment in public in the name of safety and rights groups arguing that this amounts to a violation of civil liberties. The court ruled that the ban sought to guarantee social cohesion, the “protection of the rights and freedoms of others” and that it was “necessary in a democratic society”, a statement said. Belgian banned the wearing of the full-face veil in June 2011. It prohibits appearing in public “with a face masked or hidden, in whole or in part, in such a way as to be unidentifiable”. In May 2012, pockets of riots broke out in the Brussels suburb of Molenbeek after a woman in a niqab was asked by two police officers to remove the garment. France was the first European country to ban the niqab in April 2011 and there have been around 1,600 arrests since coming in to force. The ECHR had already ruled on a challenge to the French law in 2014 when it also rejected arguments that the restriction breached religious freedom and individual human rights. The Belgian case was brought by two Muslim women, Samia Belcacemi, a Belgian national, and Yamina Oussar, a Moroccan. Both women said they chose of their own free will to wear the niqab and claimed their rights had been infringed and the law was discriminatory. After Belgium introduced the ban, Belcacemi continued wearing the veil for a while but stopped because of social pressure and fears she would be fined. Oussar told the court that she had decided to stay at home, the statement from the court said. Email “Human rights court backs Belgium's ban on wearing a full-face veil in public”. 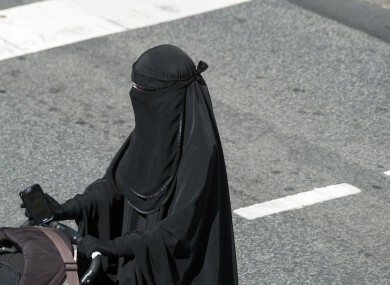 Feedback on “Human rights court backs Belgium's ban on wearing a full-face veil in public”.